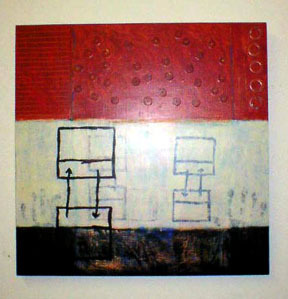 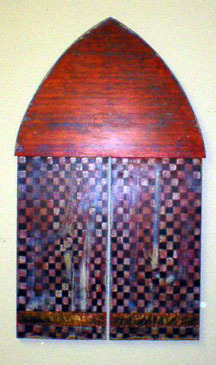 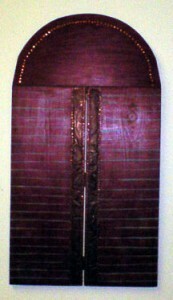 Acrylic on wood, 24" x 24" x 1"
Wood, acrylic and copper, 41" x 22" x 1"
Wood, acrylic and copper, 41" x 24" x 1"
Sylvia Chesley Smith attended Cornish Institute of the Arts in 1981 in mid-life after raising her three daughters, graduating in 1981 with a B.F.A. in painting and sculpture. 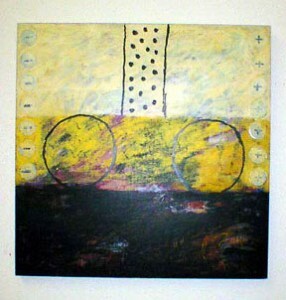 Her art provides a balance against her work as a counselor. Sylvia is one of three daughters, as is her 93-year-old mother who still plays the piano.